Created by Dave Wood. This is version 12 April 2004. All images are © the respective artists and magazine publishers as detailed throughout the site. 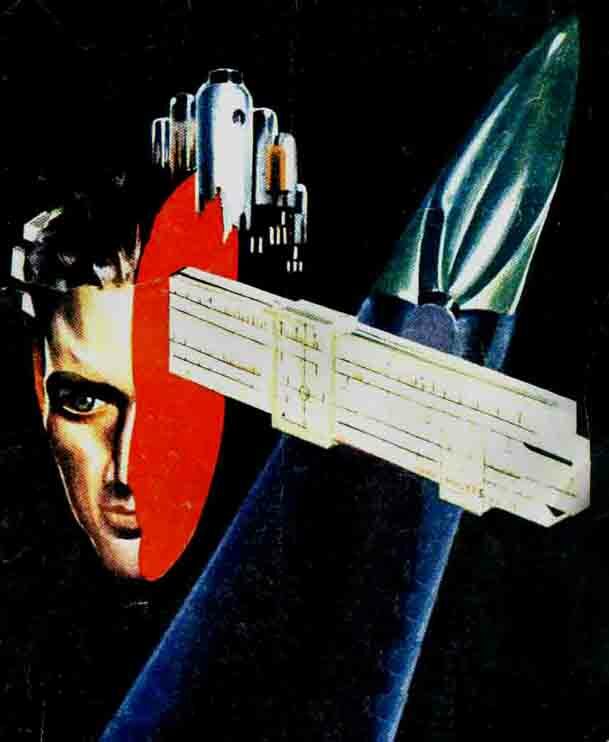 The British Reprint Edition [BRE] of Astounding Science Fiction was published by ATLAS PUBLISHING & DISTRIBUTION CO. LTD. from 1939 through to 1963. The BRE content was always a truncated edition of the US original. During the 1940's and early 50's many stories were omitted, Book Reviews and Letters were subject to ruthless pruning, interior art disappeared. Much of this was due to the wartime and post war paper restrictions. Until the end of 1953 the publishers maintained a pulp format. Later editions were digest size and almost full reprints of the US editions running approx. three months behind the original issues. However, there is one mystery with regard to these BRE's [and indeed all Atlas reprints of American pulps] - the covers were repainted copies of the original. Some were faithful copies, but many were inferior. Despite this, the artwork was always credited to the artist of the original US edition. This site is designed to show the front cover images of all editions side by side. I am very conscious of the ownership of the images reproduced here. I realise many of the artists are long since dead and both Street & Smith, the publishers of the US edition and Atlas Publications, the publishers of the British Reprints have long since been absorbed into conglomerates or simply gone out of business. In all cases where known, I have identified the artist of the original US edition. As yet neither I, nor any of my "helpers" have been able to get even a sniff of who the British copyists were. With all the reproductions I have tried to give an accurate visualisation of the size difference between the American and the British editions. Pages may be a little slow to load. But my intentions for the site are geared to people who are genuinely interested in this little known offshoot of British SF magazine publishing and not the surfers who barge in and swiftly out of sites that take longer than a nanosecond to download. Some of the images are not of the best quality and I would genuinely like to find better ones. If you can help, I would be grateful. About half of the images shown are scanned from copies in my own collection. The rest were kindly provided by a number of people, in particular Greg Pickersgill, Kevin Williams, Jim Linwood, Terry Gibbons and Peter Weston. Others helped without knowing it. I would especially like to thank Greg and Peter for urging me on with this project.